Intergate, in conjunction with our travel visa partner offers a bespoke Congolese visa service that provides advice, compilation of the application, submission and return. Please go here for assistance with visas for the Democratic Republic of the Congo (DRC). Who needs a Congolese visa? Visitors to the Republic of the Congo must obtain a visa to enter the country unless they come from one of the visa exempt countries or countries that can obtain a visa on arrival. Tourist visa: This visa allows tourists to the Republic of the Congo to enter the country. Passport valid for at least 6 months after your return. A copy of your full itinerary, preferably from a travel agent. 3 Months’ recent bank statements. An employment letter, if your purpose is business. A letter of invitation, for business or tourism purposes. You must also meet certain health requirements and get all the recommended vaccinations. 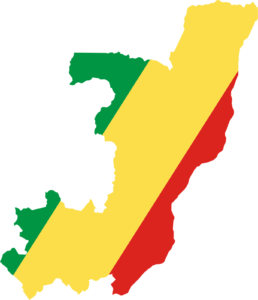 A Congolese visa is applied for at the Embassy or Consulate of Congo or visa application centre. Do I have to go in person to submit my Congolese visa application? The processing time for Congolese visas are three working days. The Congolese visitor visa is valid for 90 days and allows for multiple entries. The business visa is valid for 30 days and also allows for multiple entries. You must apply for an extension if your business trip requires a stay of longer than 30 days.